Manchester United legend Rio Ferdinand is leading the tributes after Wayne Rooney agreed to a deal to join Everton this summer. The 31-year old finally decided the next move for his career as he sought for more playing time. Rooney fell in the pecking order at Old Trafford, a club he has played in for 13 years. Jose Mourinho played in in various positions but he still could not get the best from the leading all-time scorer for United. The reduced playtime affected the skipper’s rep at the club, his international career with the Three Lions and his overall legacy as a player. The last four years seemed to make many forget the exploits of Rooney for club and country. 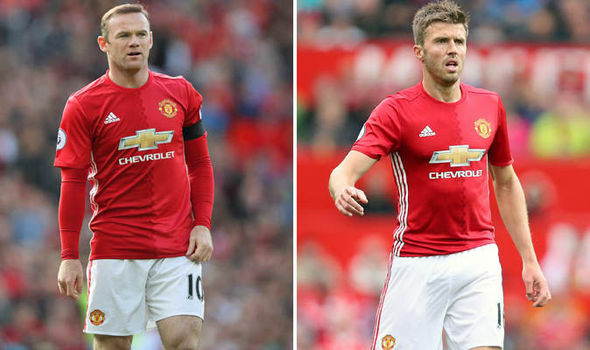 “Great player..Great guy…Great family…Bad singer but an All Time Football Legend Wayne Rooney,” Ferdinand wrote of his former teammates. Michael Carrick, who would still be around Old Trafford for at least a year, joined in sending tributes to the player. Other stars like Gary and Phil Neville added theirs as more and more tributes flowed in. Current players like Marcus Rashford, Ander Herrera, Juan Mata and the rest, teeming fans and media people also joined in. Rooney moved to Goodison Park where he is promised more game time but he is expected to receive a massive pay cut. He came through the Toffees’ academy before he moved to Manchester. After his deal was announced, he joined the rest of the players to train at Finch Farm. As Rooney joined Ronald Koeman’s side, Romelu Lukaku joined Mourinho’s team. The striker’s transfer cost might reach £90 million, with an initial £75 million, according to reports. The Belgian wanted where he would get Champions League football after years of success at Everton.